"The Spartan Difensa is awesome choice for a mid-sized field blade. The 3d machined handle perfectly fits in your hand. The Spartan Blades guys know how to make a fantastic knife!" 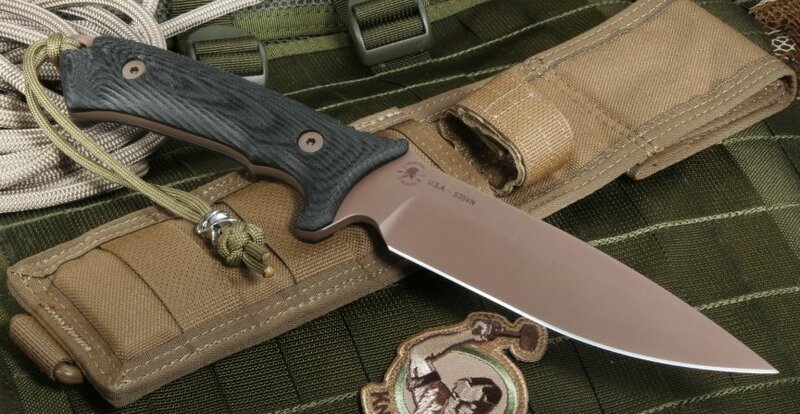 The Difensa is the brainchild of world-renowned knife designer William Harsey Jr. in collaboration with Spartan Blades. Designed for use by the Canadian Special Force, the blade comfortably molds into your hand, making the machined handle feel like it was made just for you. The Spartan Difensa sports a 6 1/4-inch long, 3/16-inch wide American-made CPM S35VN stainless steel blade with a FDE SpartaCoat PVD Zirconium Nitride coating, one of the best blade coatings on the market to help this strong piece of steel last. 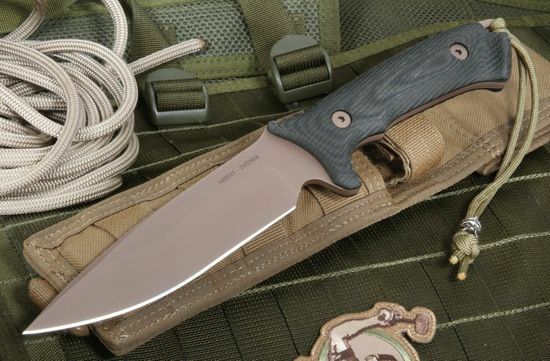 At a weight of 11.4 ounces, the fixed blade packs a lot of heft that further lends to its formidable appearance. 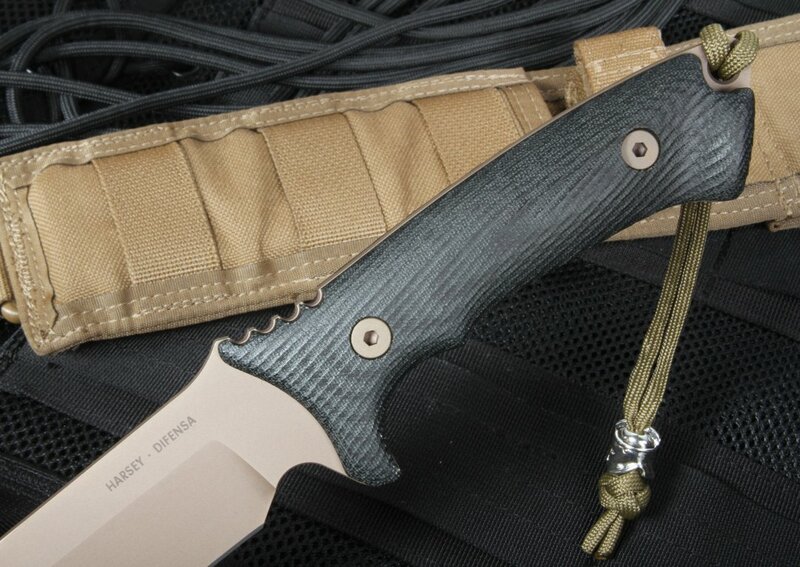 Complete with its handle, the Spartan fixed blade measures an 11 5/8-inches in total. 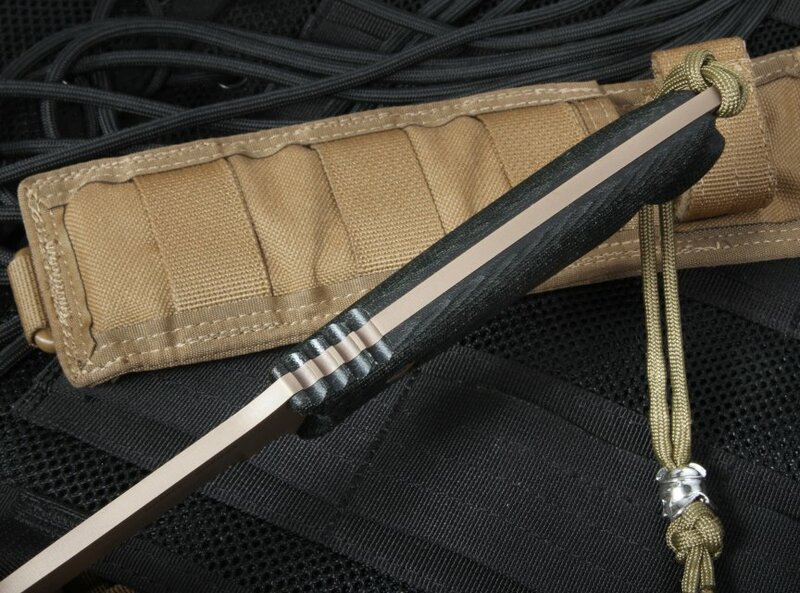 The black canvas micarta handle was created using innovative new 3D machining technology that provides the perfect grip, one akin to a custom grip but without the extra expense. As soon you pick up this knife for the first time, you will feel like you have finally found the perfect extension of their arm. 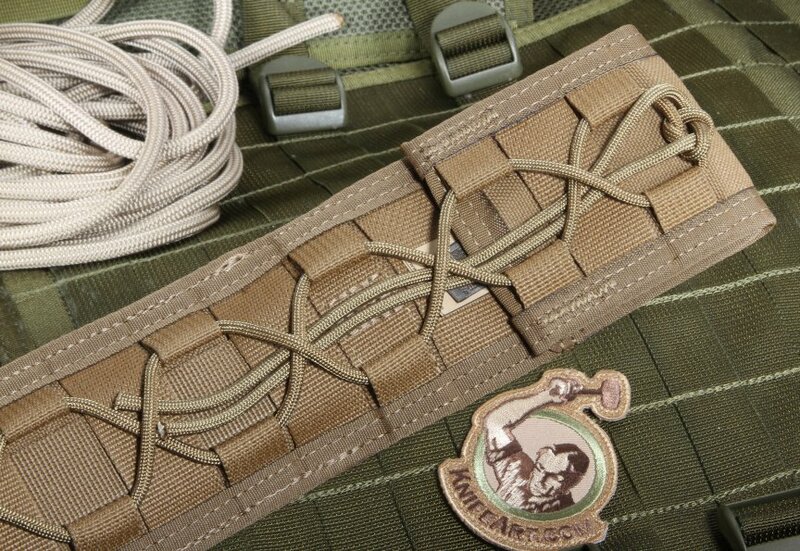 It is only natural that the Difensa is sheathed in only the finest, in this case, a molle tan sheath that features smooth unsheathing for quick access. As an authorized dealer, each knife comes with a lifetime guarantee. Combined with same day shipping and free US shipping options, your full satisfaction guaranteed.